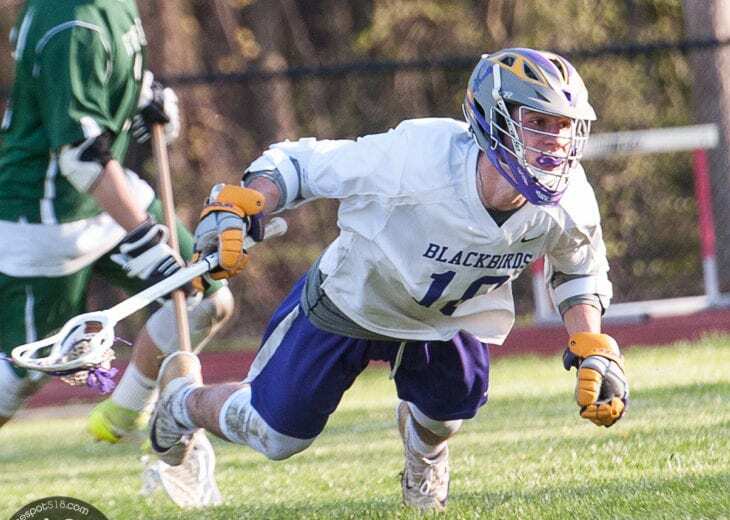 VOORHEESVILLE – Greenwich beat the Blackbirds in a Colonial Council matchup by a score of 7-3 on Tuesday, May 8. Aiden Crouse had two goals and an assist for Voorheesville while Tim Burnham had a goal and Ian Owens had two assists. Luke Pemrick had three goals and two assists to lead Greenwich while Luke Jordan had two goals. Chris Albrecht and Ellis Pemrick chipped in a goal each. In goal, Evan O’Connor had 21 saves for the Blackbirds while Gage Boddery had 15 for the Witches.